Personally, Under Pressure is one of the greatest hip-hop albums that was dropped in 2014. 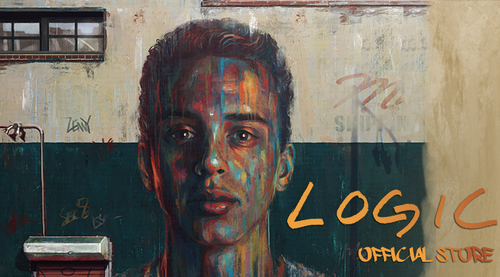 After finally signing to Def Jam Records, Logic released his freshman album in late October. Logic is easily one of the most underrated rappers in the game today, and this album surely proves that. Logic is not far behind rappers that create albums through a story such as Kendrick, J. Cole, and Tyler. The album itself is a masterpiece. From the very beginning to the end, Logic lays out his entire story. Putting all his cards on the table, he leaves no topic out. From his own brother selling crack to his father to the racism he faced growing up, Logic creates a very vivid portrayal of his struggles up until he finally signs his deal with Def Jam Records. Two songs that best show Logic’s creativity when it comes to storytelling are “Gang Related,” and, “Growing Pains III.” In “Gang Related,” he uses a news story that actually happened when he was growing up. Switching up from his viewpoint as a kid to his older brother’s, talking about the stuff he saw going on in his house; drug use, drugs being sold, etc. Speaking through his brother’s perspective, he talks about selling crack to his own father, hoping there was a better way to make money for his family. Logic proves his talents in every song that is on this album. His lyrical talent is also backed by production for No I.D and his personal producer 6ix, sampling Kendrick Lamar’s “Sing About Me, I’m Dying of Thirst,” to using a tour guide as used by A tribe Called Quest. Under Pressure is, in my personal opinion, one of the best hip-hop albums of 2014. If you have not checked Logic out, I highly recommend starting with this album.